The Florida Motorcycle Road Racing Association (FMRRA) is proud to welcome Pabst Blue Ribbon as its Official Beer of the 2016 Inaugural Championship Season. At each of the FMRRA race weekends hosted at Palm Beach International Raceway and JenningsGP, race winners are congratulated in the Winner’s Circle Presented by Pabst Blue Ribbon. Our racers and staff alike all love beer! We polled our competitors and were not surprised to discover they don’t drink cheap champagne; then, why serve it on the podium in the Winner’s Circle? We drink beer, especially after making the competition eat exhaust lap after lap. We celebrate victories and toast winners with ice cold Pabst Blue Ribbon. And to keep the celebration going, we invite everyone – whether you’re riding for glory, turning wrenches, or cheering on friends – to join us in the Pabst Blue Ribbon Winner’s Circle to knock back a few cold ones! Pabst Blue Ribbon is not just any beer – so you would expect the history to be a bit unusual, and it is. 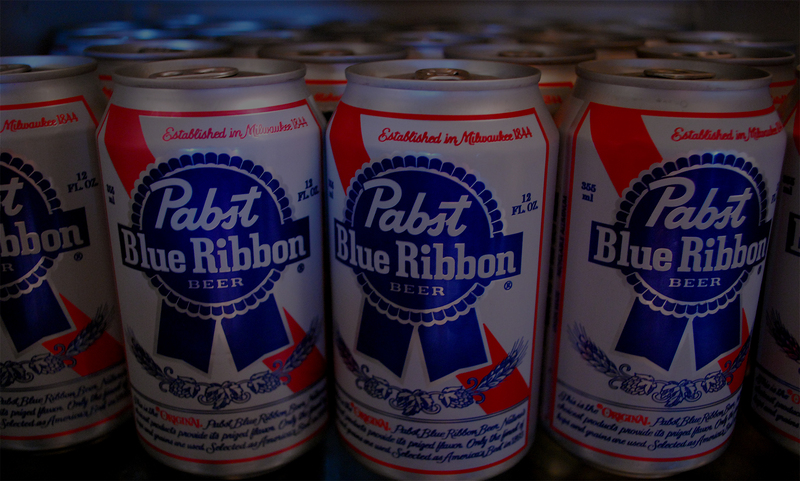 PBR was established in 1844 in Milwaukee, Wisconsin by German immigrant Jacob Best and his sons. Pabst was originally called “Select,” but people started asking for that “Blue Ribbon” beer in 1882 when PBR started tying silk ribbons to the bottles. They officially added the words “Blue Ribbon” to the bottle in 1895. Pabst was the first brewery to put beer in cans back in 1935. Today, this classic American brew has been adopted by a whole new generation of PBR drinkers, and PBR is one of the fastest growing domestic beer brands. For more information, visit www.PabstBlueRibbon.com, and connect with Pabst Blue Ribbon on Facebook, Twitter and Instagram.